– Those with health issues that prevent the use of product containing fragrances. – For Food Manufacturing where fragrances and dyes are an issue. – For those that want to add their own fragrances. 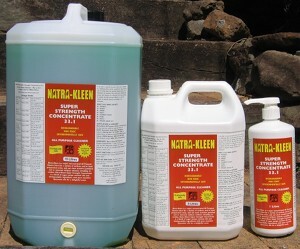 Natra-Kleen Concentrate can take most fragrances except Eucalyptus and Tea Tree essential oils. Comes with 4 ml dispensing pump to make mixing a breeze. This one product will do most of your general cleaning. used in both domestic and commercial cleaning. Those with health issues that prevent use of product with fragrances. For those that want to add their own fragrances. 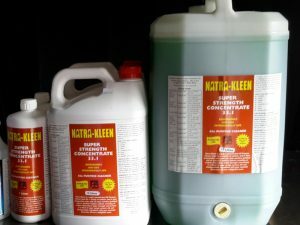 Natra-Kleen Concentrate can take most fragrances except Eucalyptus and Tea Tree essential oils. Independently tested for Environmental safety in Fresh water, Biodegradability, and Grey water safety. Test under Boeing aircraft standards on a whole range of materials and surfaces for corrosion and damage.